Pile faux fur in the well known fuzzy quality. Many uses including costumes and more. 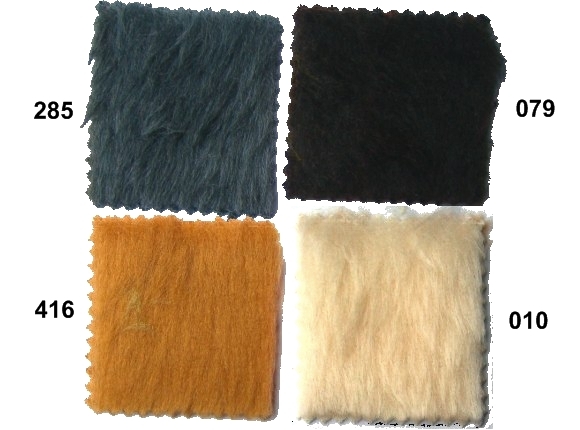 Pile faux fur in blue, pink, black. Pile faux fur, green nuances. Pile faux fur in yellow and white. Pile faux fur in pink and red.